Karachi, Pakistan - Etihad Airways has celebrated the new year with Special Olympics Pakistan by sponsoring the NGO’s Annual Fundraising Gala in Karachi. The Fundraising Gala is hosted by Special Olympics Pakistan and is attended by leading figures from the local government, as well as diplomats, media, and corporate partners. For the past nine years, Etihad has been supporting the charity organization by providing cash and prizes, including airline tickets, for auction. On 8th March, the delegation from Pakistan consisting of 92 athletes, 27 coaches and 3 officials will be flying with Etihad Airways to participate in 10 events at the Special Olympics World Games 2019 in Abu Dhabi. From 14 – 21 March, over 7,500 athletes and 3,000 coaches representing 192 countries will participate in 24 officially sanctioned Olympic-style sports in world-class venues throughout Abu Dhabi. It is the first time these mega games are being held in the Middle East region and the largest sports and humanitarian event in the world in 2019. 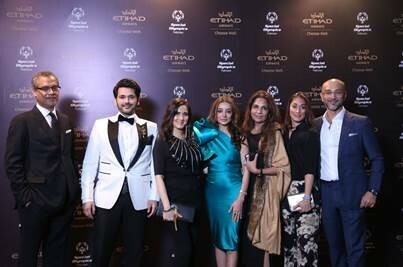 Etihad Airways has also launched an exclusive 10% discount for family and friends of Special Athletes, and also for all guests travelling to Abu Dhabi to visit the Special Olympics World Games 2019.